I was recently setting up remote backups for my QNAP NAS and came across a problem. QNAP NAS by default doesn’t seem to be able to create backups of the TMBackup directory it uses to store TimeMachine backups. You are unable to sync this directory with remote server or cloud storage/backup service. I was googling around and noticed that few people had this problem, for example here and I have found a solution. I have NAS with 2 volumes, first volume is used for multimedia (this one backups fine), second volume is used for TimeMachine backups (this one doesn’t work). 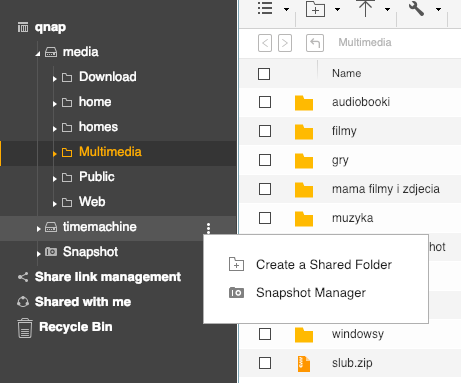 This problem can be solved by creating a new “Shared Folder” and pointing it to /.timemachine (the location of TM backups). 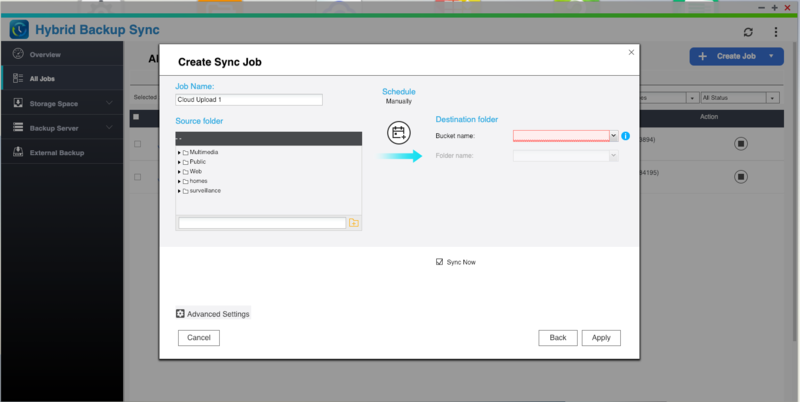 After that, go back to “Hybrid Backup Sync” to setup “Sync Job”. 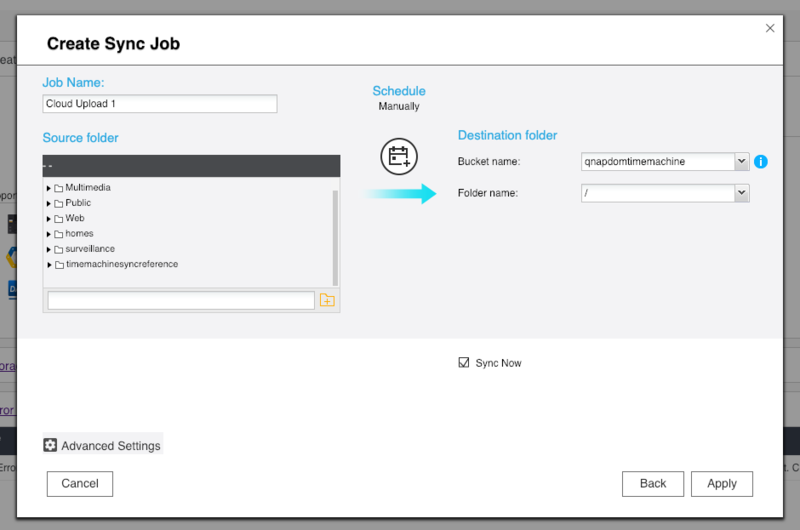 Your newly created folder will be visible with TM backups as content.